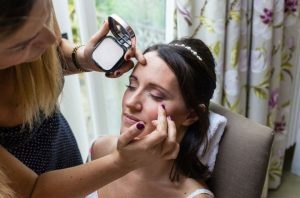 You need to look your best for your own wedding day, so finding someone you can trust to do your wedding makeup application that will last from morning to night is important. A pre-consultation is recommended so I can get an idea of the look you are trying to achieve for your big day. Following this we will arrange a trial day, you can have as many trials as you need to ensure you are fully happy with the look we create. A deposit is then required to secure your date and I will keep in touch with you on the lead up to your big day. Wedding makeup is quoted for on an individual basis. Please contact me on 07932 888177 to discuss your requirements.